Reports are that MTV has ordered ten episodes of the new series. There has been a cast change since it was originally announced as Bex Taylor-Klaus will now play Audrey Jensen, Amy Forsyth was originally cast, other series regulars include Willa Fitzgerald, Connor Weil, Amadeus Serafini, John Karna, Carlson Young, Joel Gretsch & Tracy Middendorf. Jamie Travis was the director of the pilot. 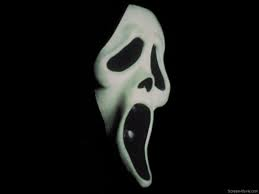 So no Ghostface offing teens but a series called Scream - will feature good looking youngster running about town....like every second MTV show.